Coach Recap: We played a physical match against a tough opponent in Rovers. A fairly sloppy first half saw both teams getting some shots and some chances in. We cleaned the game up a bit more in the second half earning more possession and creating some half chances and only allowing a couple of Rovers counter attacks. Even up a man late, we weren't able to break through Rover's tough backline and the game ended 0-0. Next Up: Sunday, April 28th vs Atlas FC at Regency Athletic Complex, 4 pm. Coach Recap: We (United) came out flat to start the match and gave up an early goal. We had a tough time connecting any passes during the first half. Played much better in the second and had a couple chances but couldn’t put anything away. United still sit 4th in the Premier Division. Next Up: Sunday, April 28th vs Union Jerez at Regency Athletic Complex, 6 pm. 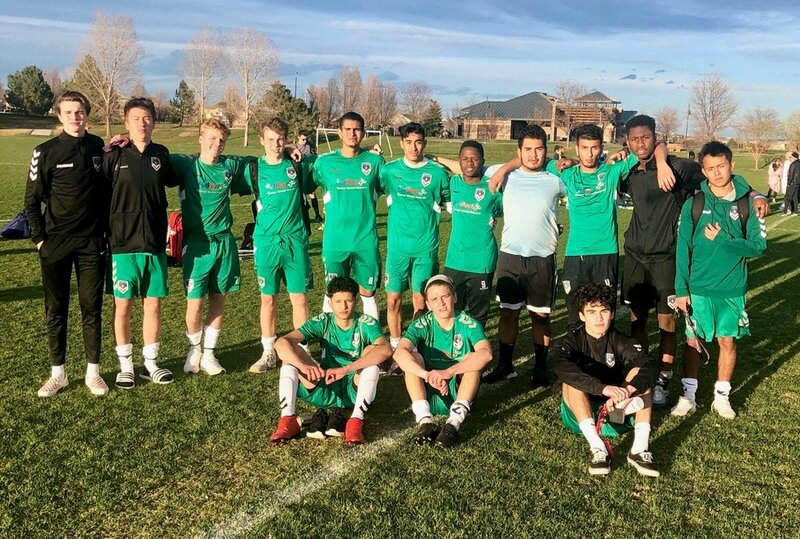 Recap: Yesterday was a great day for the 19's as they put on a very impressive display against Rovers Elite. As a coach, you want to enjoy your players out there taking full command of the match, organizing one another, and expressing themselves on the pitch. Yesterday was that day. There were many early indicators that we were in great shape to get a positive result as long as we could find the back of the net early, although the chances were being created, we weren't converting as I would've liked. Enoch Kenge, as usual, was all over the back line just putting on a clinic on how to control the ball and put the center backs under it. He scored his usual goal on the quarter match mark. Our FutPost.com's MOTM, Rawson Welch was the difference maker, in getting our goal scoring machine, producing to the next level. He played a very determined and inspiring match, with a ton of dynamic movement all over the attacking third, creating even more problems for them to handle, other than Enoch. A few other notables on yesterdays' match. Anthony D'Ambrosio found his way back on to the pitch after a long recovery phase, and he held it down in the DM position, with much poise/composure, and ridiculous distribution from the back. Bryan Torres was stellar as usual tending to his duties in net and continually organizing the back line and team overall. Albaraa Multeq also scored a brace and was just a force to be reckoned with on the flanks. All in all a great performance, but as our motto goes..."Remain Humble and Hardworking" so we're back to the training grounds to sort out more for ourselves to be as prepared as possible. Next Up: Sunday, April 28th vs Victoria Kickers at Broomfield Commons, 11 am. Coaches Recap: Masters defeated Victoria Kickers 2-0 to move to 3-1-0 on the season. Masters took the lead in the 3rd minute after Kane Lawson intercepted a pass and rounded the keeper to tuck in home into the empty net. The remainder of the half would see back and forth action as Masters struggled to keep possession on the bumpy pitch going into the 20 mph winds. The 2nd half started out better, with early in the half Simon Logan playing a nice thru ball to Lawson who was fouled in the box. Derek Moore confidently finished to the lower left corner. Masters controlled most of the 2nd half but couldn't find another goal. Matt Burford was called upon to make some nice saves to preserve his 2nd shutout in a row. Masters will next play the Union Jerez reserve team in two weeks. Next Up: Sunday, April 28th vs Union Jerez 2 at Dove Valley, 1 pm. Next Up: Sunday, April 28th vs Dynamo FC at Dove Valley, 9 am.